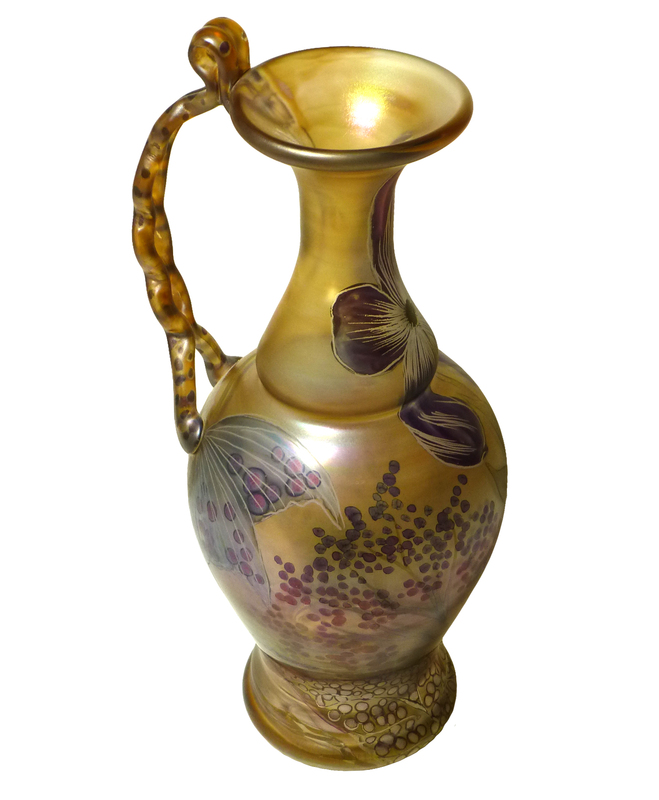 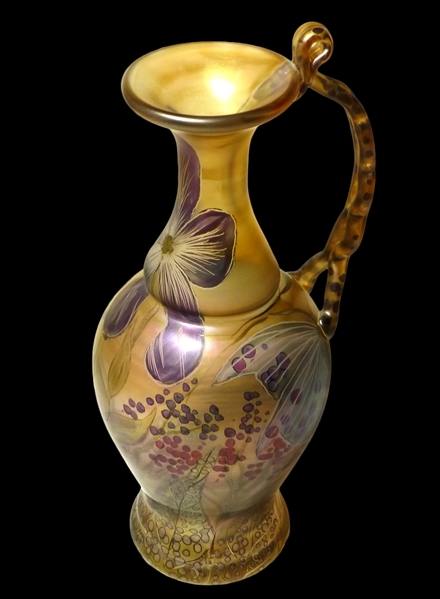 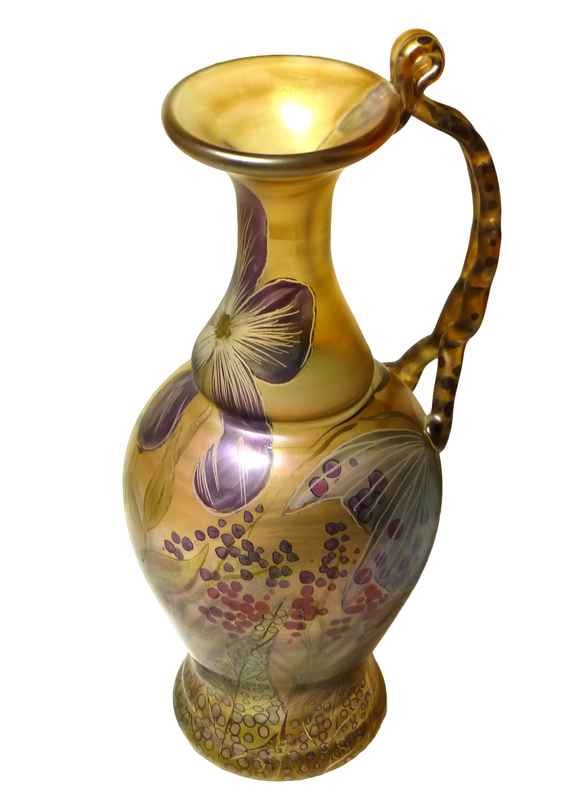 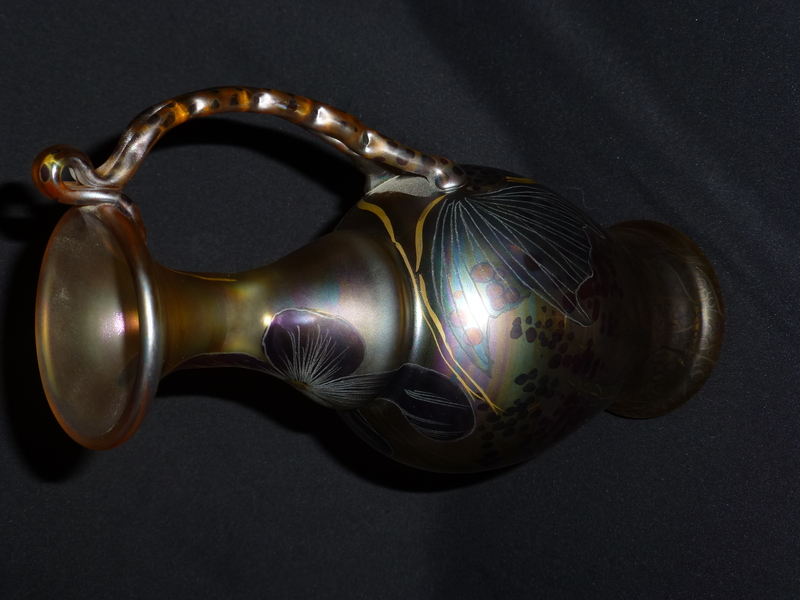 F von Poschinger Art Nouveau Jugendstihl Art Glass Floral & Butterfly Wing Vase /Ewer. Lovely Applied Double Handle Bud Vase, Signed on the bottom as pictured. 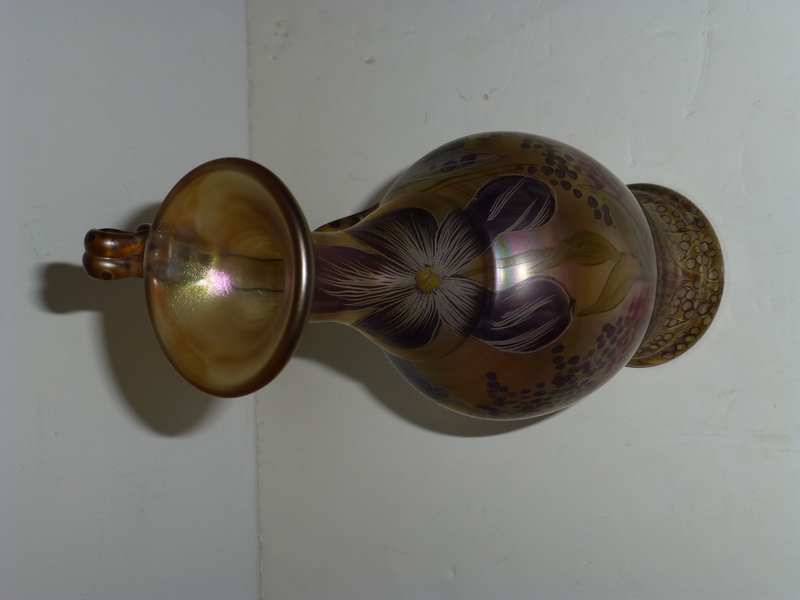 It is 9 1/2" tall, Top of vase is about 2 1/2" diameter, the base is 2 7/8" and the bulbous center is approx 3 3/4". 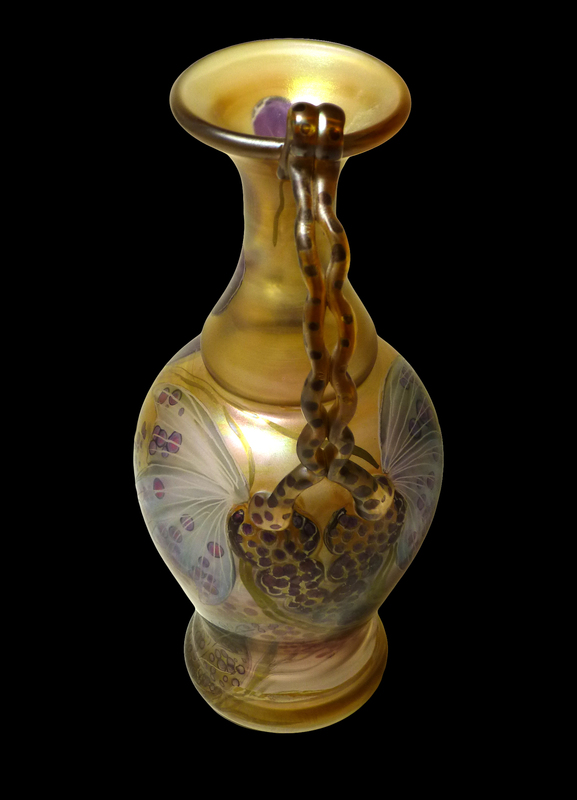 Weighs 22 1/2 Ounces. 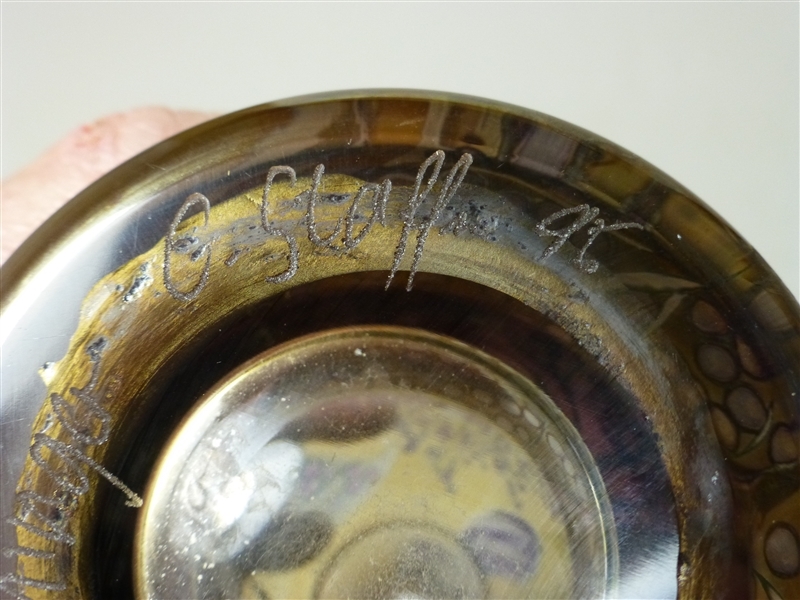 No chips cracks or repairs. 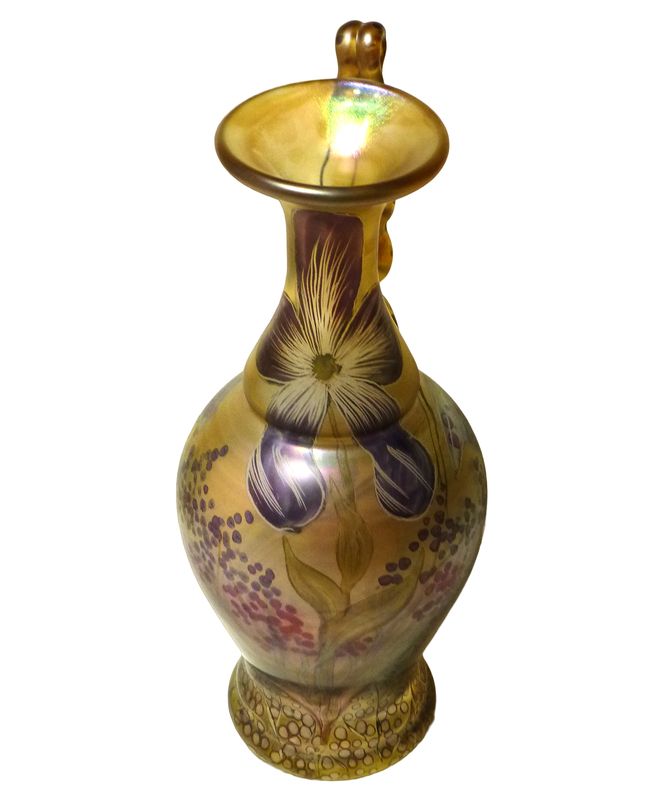 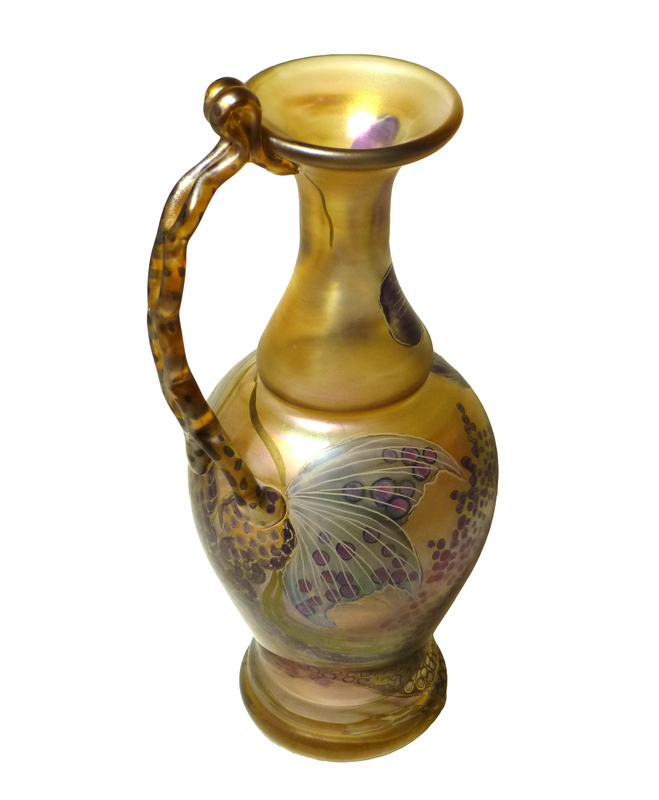 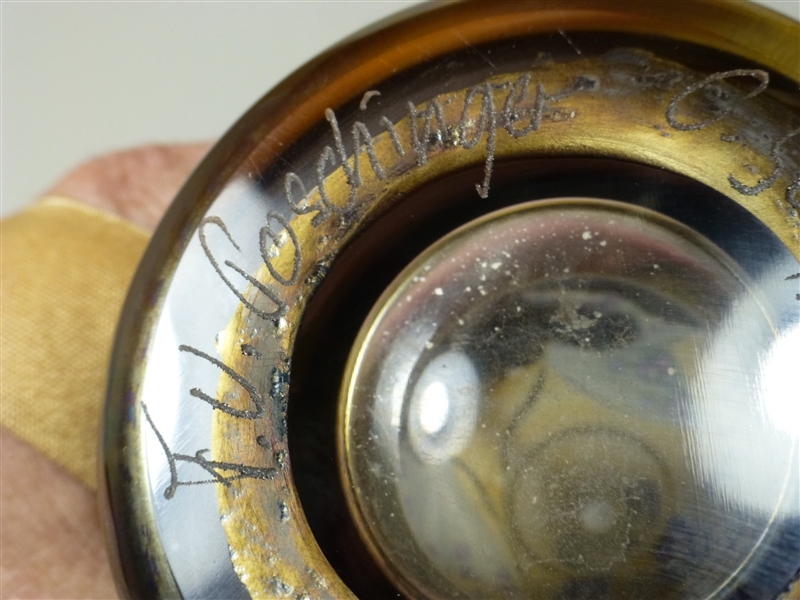 It is semi-clear amber glass with painted floral and butterfly wings. Photographs taken in different lighting to provide depth.